The woeful form of their top-order was at the heart of New Zealand's loss in the ODI series. On Wednesday, rookie opener Tim Siefert's swashbuckling 84 was the fillip that the home side needed as they strolled past the Men in Blue to hand them their biggest loss in a T20I [in terms of runs]. 80- Biggest defeat for Team India in terms of runs at Wellington. The Men in Blue had never faced a defeat in excess of 50 runs prior to the first T20I. 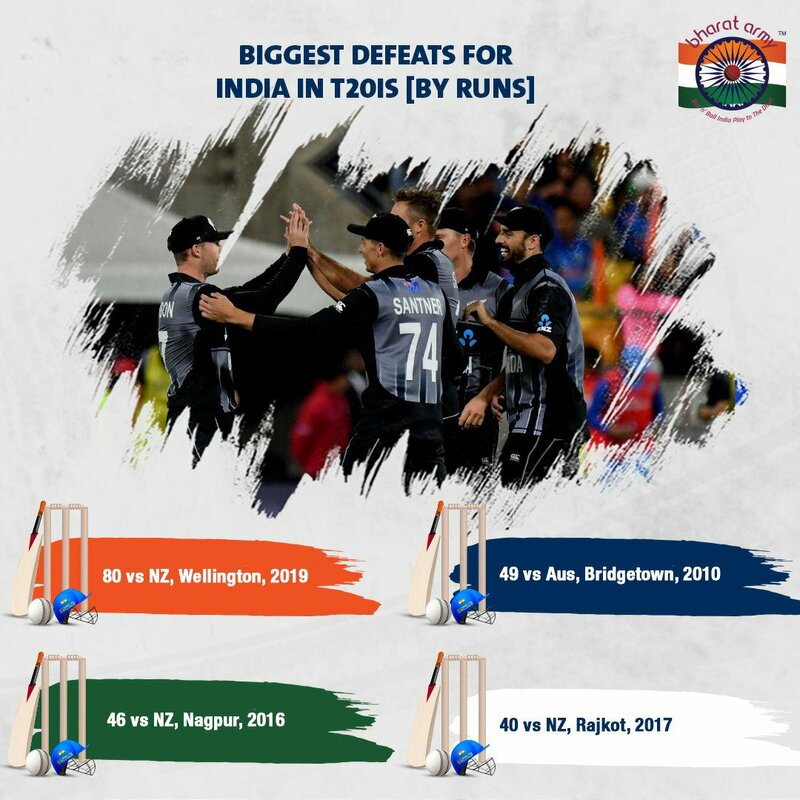 7th-The 80-run loss at Wellington was India's seventh defeat at the hand of the Black Caps. In 9 T20Is between the sides', the Men in Blue have won just two- their lowest W/L ratio against any opponent. 0- India is yet to win a T20I on New Zealand soil. Wednesday's loss was their third consecutive defeat following a 0-2 defeat ten years ago in 2009. 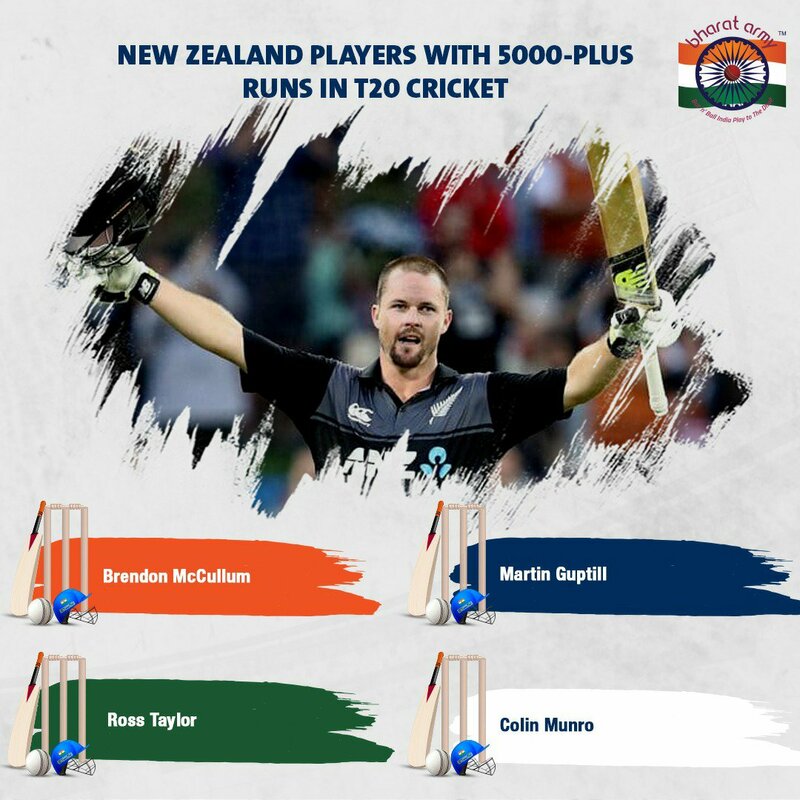 4th- Colin Munro, during his innings of 34, became the fourth Kiwi player to cross the landmark of 5,000 T20 runs. The swashbuckling opener has featured in 205 T20s, racking up 5,000 runs at a strike-rate of 147.18 which includes four three-digit scores. 2nd- That the Kiwi batsmen took the Indian bowlers to the cleaners is testified from the fact that each of the five Indian bowlers conceded in excess of 35 runs. The last time it happened, the Windies had rocketed their way to 245 in Florida. 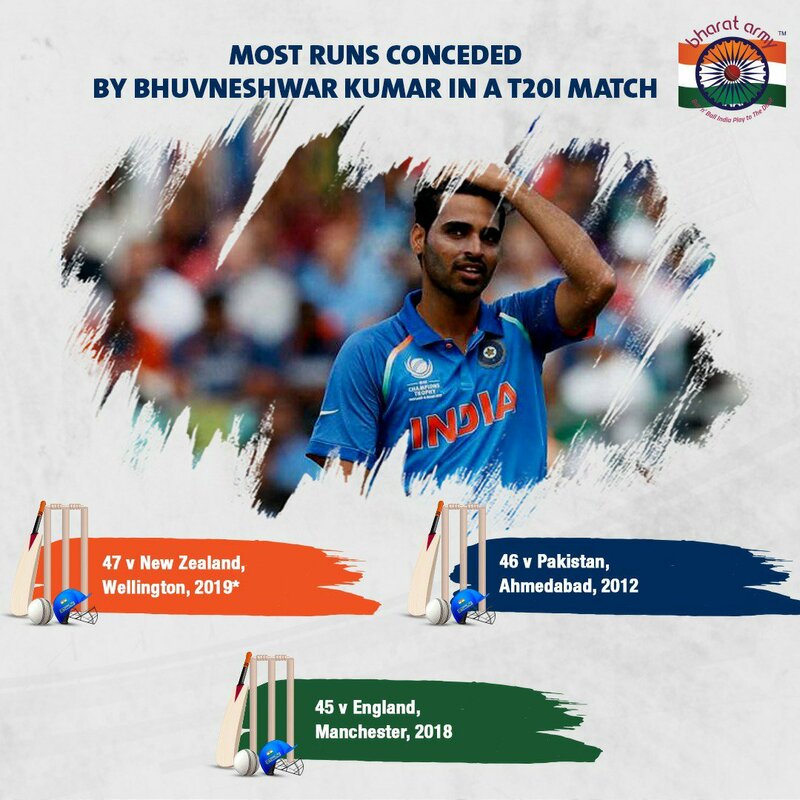 47- Most runs conceded by Bhuvneshwar Kumar in a T20I.